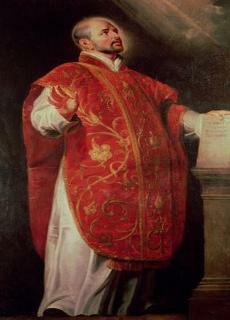 Ignatius Loyola sporting a masonic hand sign. Diet, injections,and injunctions will combine, from a very early age, to produce the sort of character and the sort of beliefs that the authorities consider desirable, and any serious criticism of the powers that be will be psychologically impossible. Even if all are miserable, all will believe themselves happy, because the government will them them that they are so.